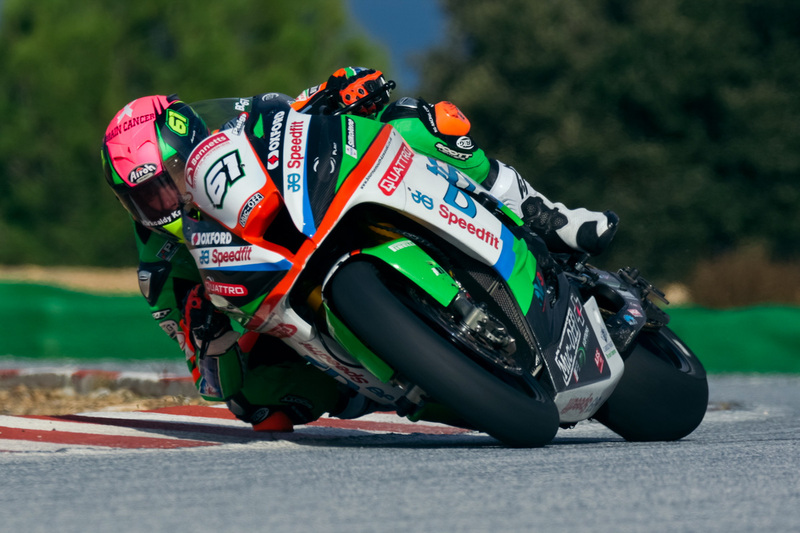 Flying somewhat under the radar, Victorian Ben Currie has been working his way through the British Superbike Championship (BSB) ranks for the past five years. 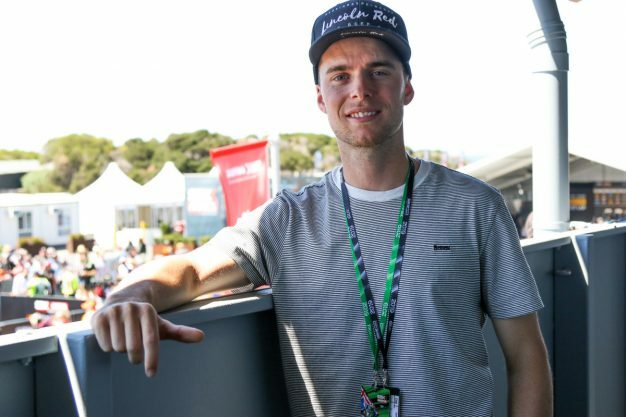 Finishing runner-up in the Supersport category while challenging for the crown in the last two seasons, the 23-year-old will graduate to the premier class this year with the title-winning Quattro Plant JG Bournemouth Kawasaki outfit, ultimately replacing outgoing champion and now WorldSBK contender Leon Haslam. 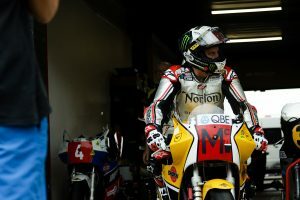 On hand to witness the action at Phillip Island’s WorldSBK, CycleOnline.com.au sat down with the youthful talent for this latest Conversation interview. Absolutely, I’m over the moon! I’ve been working a lot of years for this – I say a lot of years, I’ve been working for five years over there in the UK to get to this point with a factory Kawasaki ride for the championship-winning team – it’s just amazing. Backing up a bit, how did it start for you to ending up over in Britain and taking that career path? We more or less just jumped straight into it. 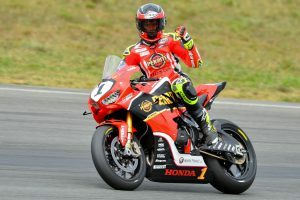 I didn’t do much racing over here in Australia to start off with – I did some club stuff and did quite well, then moved straight into the Superstock 600 class to try and progress my career as quick as I could because I raced motocross for a lot of years. I wasted a lot of years on the junior road racing scene, so I had to jump straight in and cut my teeth into it. We’ve seen you in a variety of categories being Superstock and Supersport 600, for those that may not be super familiar with you at the moment – we do a bit coverage when we can – but what has been highlights of your career so far? Every class I’ve been in so far, I’ve challenged for the championship. In 2015, I finished second in the Superstock 600 championship, in 2017 and 2018 I finished runner-up in Supersport – I finished third in British Supersport first, then I was runner-up and challenged for the championship all year long. Definitely! I think I’ve got about 14 or 15 race wins in Supersport now, and a bunch of race wins in Superstock 600. It’s something I take pride in to win international races, or British championship races, for sure. Yeah, definitely. When I went over there, all these guys were household names and I looked up to them as riders. The likes of Josh Brookes and Jason O’Halloran, they have a lot more experience than I do over there and in international racing. To fill the shoes of Leon Haslam straight into in his ride in the British championship is just unbelievable. I’m going to be banging bars with these guys week in, week out, and I’m confident I’m can do a good job. I have huge respect for a lot those guys on the grid, that’s for sure. What was it like to get on the ZX-10R, experience a Superbike for the first time and do winter testing over there? It was unbelievable – it was mind blowing to get on the Superbike – it’s the first time I’ve ridden a 1000cc bike. It’s a credit to the team, they made me feel so at home on the bike – straight away I was able to push and feel comfortable. At the end of the day, it’s a motorcycle – if you feel comfortable on the motorcycle and you’re a good rider, then you can ride it fast. I’m very lucky to be in this position where I’ve got a good team around me making it smooth sailing going into the championship. What’s the target for you, beginning with this year and into the longer term? Yeah, look, I don’t wake up in the morning and train as hard as I do to finish 10th or 15th, and although you have to be realistic with your goals, I’d really like to challenge for a championship. But, I’m going to take it as it comes and reevaluate my goals. I’m going to start off with trying to stay safe and healthy, push as hard as I can and what will be, will be. 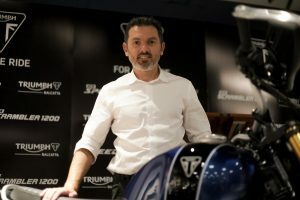 Obviously, I want to be winning British Superbike championships – that’s the goal, and that’s what I’m going to work for. Is the world championship something you’d like to do, or are you not thinking too far ahead? Absolutely – the goal is to be a world champion, but right now all my focus is on being British champion. That’s what my job is at the moment – that’s all I’m thinking about. It’s fantastic to be down here at Phillip Island to see the spectacle of a world championship, and hopefully one day we can definitely win world championships.